Two British volunteer soldiers who died in the Spanish Civil War’s Battle of the Ebro are buried in a mass grave in El Perelló. Ivan York recounts how, after several years of research, he discovered their identities. In 2006 I began a regular series of visits to Catalunya, culminating with the purchase of a small house in El Perelló in 2011. My wife and I spend four to six months here every year and we have made many friends. Since the beginning of our time here I have been hiking across much of the Sierra Pandols and Cabals including Hill 666, 402 and 481 – key points in the long and bloody Battle of the Ebro of 1938, which was the last great republican offensive in the Spanish Civil War. In 2015, I was pleased to see the a plaque installed in Corbera de Ebre by the International Brigade Memorial Trust (IBMT), a charity that aims to “keep alive the memory and spirit of the 2,500 men and women from Britain and Ireland who volunteered to defend democracy and fight fascism in Spain during the Spanish Civil War of 1936-39”. In 2012 I began researching the issue of mass burials in Catalunya specifically relating to the Battle of the Ebro. According to a map produced for the Spanish Justice department by the Asociación para la Recuperación de la Memoria Histórica, the small El Perelló town cemetery was the site of a mass burial in 1937-39. I visited and discovered an area in the centre with no markers or grave stones which appeared to have a concave surface – consistent with excavations. My curiosity was pricked – who were the people buried here? In 2014, some pieces of this puzzle started to fall into place when I went back to the cemetery and discovered several plaques had been erected. Following the national movement to trace the whereabouts of people who were killed in the Civil War or who were victims of the violence of that era, some families had discovered that their relatives were among the 300 people buried in this site in El Perelló. I discovered that two British volunteers from the 15th International Brigade, Cyril James Scott of Swansea and John Ferguson of Glasgow were listed in the IBMT Roll of Honour as having died of wounds in a hospital in El Perelló. I began asking the older people in the village whether they recalled a hospital in the village – but none could. It was only in the summer of 2015 that I was able to make several more connections regarding these two men which led me to conclude that they are among those buried in the mass grave in El Perelló. 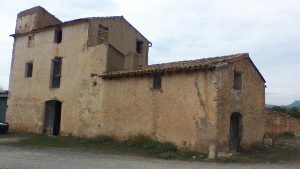 During and following the Battle of the Ebro, field hospitals were set up in the Burga Valley, which at that time came under the administrative responsibility of El Perelló. This meant my next stop was the ajuntament (town hall) in El Perelló where the town clerk, Francesca Batlle i Bosch, and the mayor at the time, Genoveva Margalef i Valiente, were incredibly helpful. I was able to research the actual 1938 registry and found the death certificates for James Scott (spelled Escot on the certificate) dated 31 July 1938 and John Ferguson dated 26 August 1938. Both had died at “Hospital Clinic No 3”. • John Ferguson of 840 London Road, Bridgeton, Glasgow, was a veteran of the First World War. He emigrated to Alaska and then Canada, working as a miner. He arrived in Spain on 17 March 1937. He was with the Lincoln Battalion at Brunete, then joined the British Battalion’s machine gun company in June 1938. • James Scott of 51 Wern Road, Swansea, was a merchant seaman, single and aged 30. He jumped ship at Valencia and joined the British Battalion of the International Brigades on 13 November 1937. I now had strong lead, and after several meetings with local people I found the clinic, which is now a farm building housing tractors and farm implements. But this led me to an even more fascinating discovery. While photographing this building, I met an elderly man who told me that as a boy he knew one of the local volunteer nurses who had worked there during 1938 and, as far as he knew, she was still alive. I traced Rosa Safont to a local village and, despite her 96 years, she was able to explain in great detail not only her work but also the impact of the Civil War on herself, her friends and family. She also described how the dead soldiers were wrapped in sheets and then transported by truck from the field hospital to El Perelló for burial in the fosse communa – mass grave. James and John were only two of more than 500 British and Irish Brigaders who died in the Civil War alongside 20,000 other international volunteers and nearly 1 million Spanish people. Nevertheless, their deaths make very personal both the sacrifice and tragedy of war. To have volunteered to fight in what was in those days a far-away land, for what must always be in some aspects an abstract concept – democracy – and in the end to have died alone in a makeshift field hospital is indeed a story worth remembering and honouring. 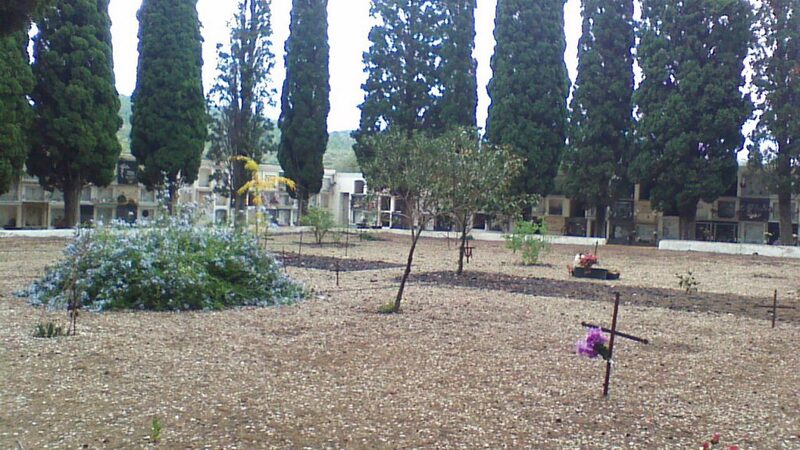 NOTE: There are plans for a memorial to be erected in El Perelló cemetery to commemorate James and John. Ebre Connect will update you as soon as there is any further news about this. 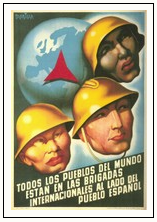 This article was first published in the IBMT newsletter, issue 41. Many thanks for a very interesting article. I hope the idea of a plaque to these two brave men becomes reality. I have been looking for my family member John Ferguson for years. I would like to email Ivan York if anyone can help. We’ll put you in touch, Catherine. Really interesting and a shame we never stumbled across this earlier. His nieces only died within the last few years and would loved to have known this. His sister, my great gran, did speak about him and was aware he died in the Spanish Civil war, but had little information. The picture of him on the Canadian archives brings him to life. If there is a memorial, I would love to see a picture of it. Thanks for the article. We’re really pleased that you found this article!